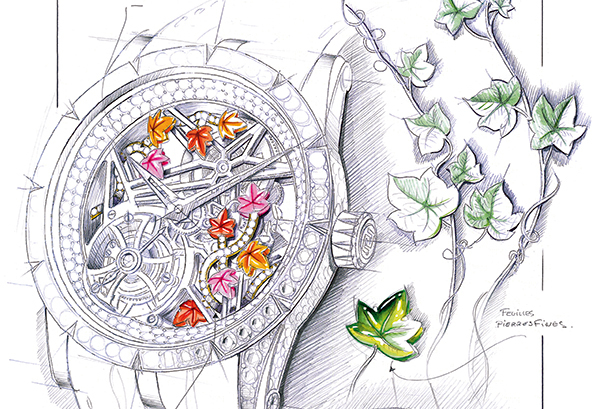 Smart technology, unconventional design and mechanical reinvention aside, if the recent global trends in watchmaking have taught us anything, it is that when it comes to haute joaillerie, the sky’s the limit. From discreet embellishments to opulent dials, a variety of wrist adornments have made showstopping appearances this year, perfect for just about anyone who loves a bit of sparkle. Traditional stone-encrusted watches can still turn heads and are an easy fix of elegance or glamour, while an over-the-top bejewelled timepiece can make a superior substitute for even a statement neckpiece. Besides being star accompaniments during a night out on the town, these masterworks can also offer a much-needed dose of extravagance to everyday ensembles…with sunglasses on, of course. 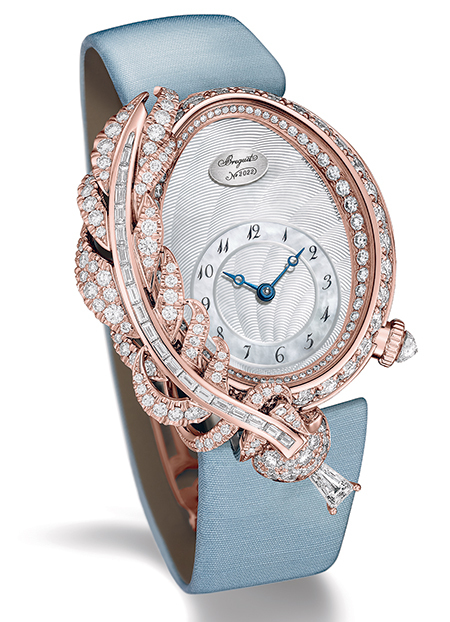 With an ornately sculpted feather wrapped into its diamond-studded case design, the Rêve de Plume is a tribute to Queen Marie Antoinette, who has inspired quite a few of the brand’s jewellery watches. The ‘plume’— which represents the queen’s love for letter-writing — sweeps across the entire left side of the bezel, paved with 20 baguette-cut, a claw-set trapeze-cut and 76 brilliant-cut snow-set diamonds. The Excalibur Creative Skeleton Brocéliande may refer to the fabled French forest in its name, but it is the design that truly takes one to an enchanted place. Ivy tendrils subtly coil around their host, the delicate gem-setting of the leaves ensuring that they are all unique. The three-dimensional impact is enhanced by the slimmer bezel and flange set with a double rank of brilliant-cut diamonds. 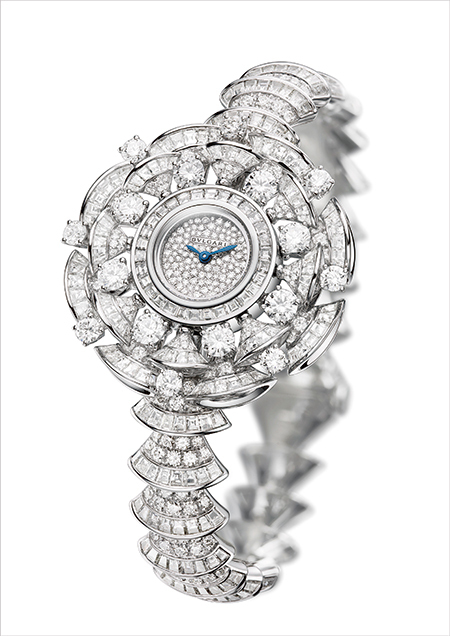 Entirely paved with 16 round-cut, 394 brilliant-cut and 302 baguette-cut diamonds, the Diva High Jewellery watch is one for the red carpet. 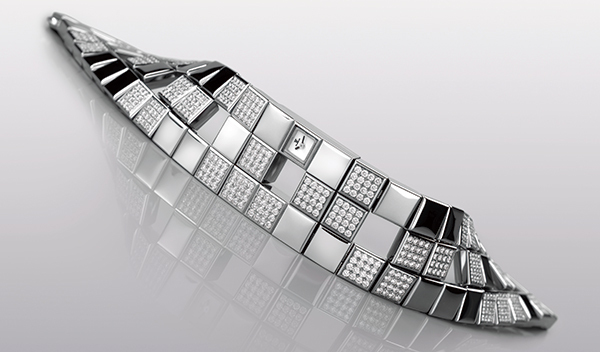 The 18-carat white-gold case and bracelet are beautifully offset by a small dial enveloped in snow pavé diamonds. An embodiment of the fine taste of Pierre Balmain, the Balmazing II reflects the creative vigour born in the heart of the Paris fashion world, enhanced today by some of Switzerland’s leading artists. 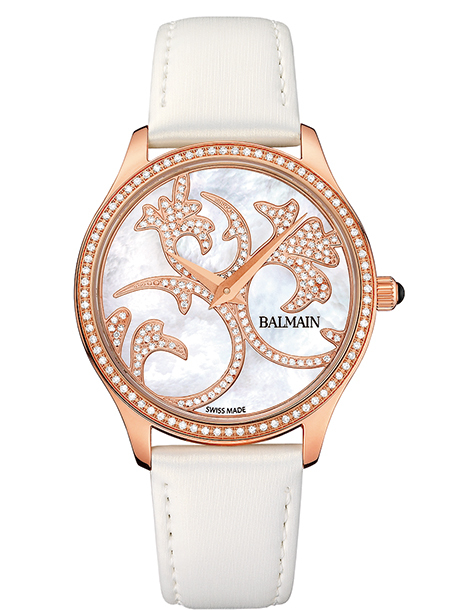 The pink PVD case is enhanced by a crown of diamonds and the white mother-of-pearl dial, featuring a contemporary arabesque pattern, also comes endowed with 164 sparkling diamonds. 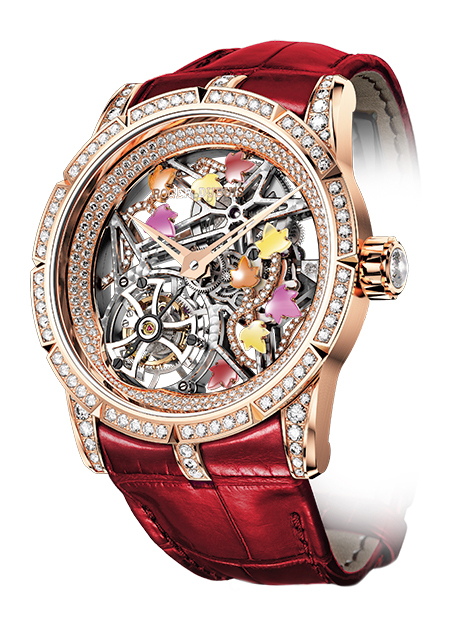 Search the Internet for the world’s most expensive watches for women and this one is sure to pop up on your feed. The Joaillerie 101 Manchette holds the record for the watch with the world’s smallest mechanical movement, comprising 98 minuscule pieces which only weigh approximately one gram each. Flaunting 576 diamonds and a sapphire glass dial, the watch features square bracelet links made out of 18-carat white gold. Distinguished by a resplendent bezel set with a colour gradient of 48 baguette-cut sapphires, set at the brand’s very own gemmology laboratory, the Oyster Perpetual Datejust Pearlmaster 39 shines with unrivalled vibrancy. The coloured dial of the watch features diamond hour markers including a diamond-set 6 and 9, while the date window at 3 o’clock boasts a cyclops lens made of scratch-resistant sapphire. 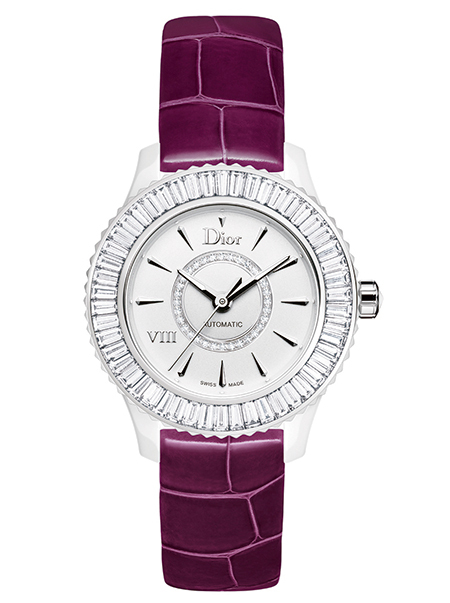 Fall/Winter hues adorn the alligator straps of the 33-mm Dior VIII Baguette, creating an aesthetic balance with the exuberant baguettes on the bezel. The transparent back of the dial is decorated with a sapphire crystal oscillating weight engraved and tinted in shades matching the stones, which are natural and untreated. 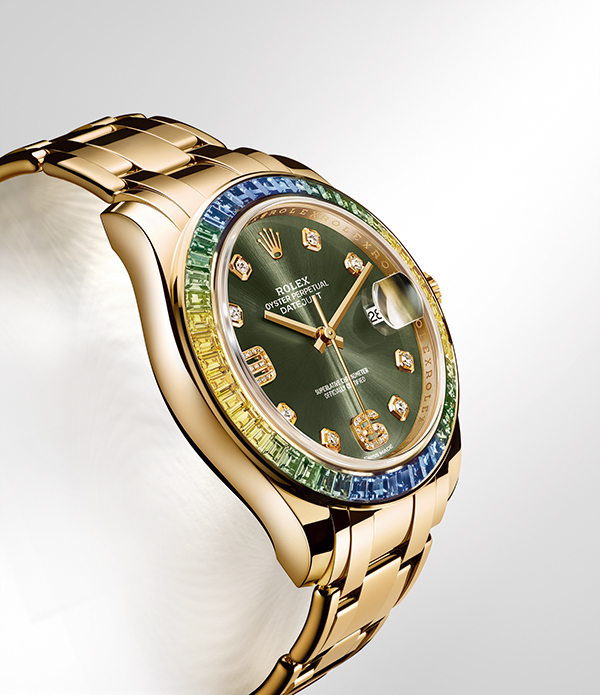 Besides reviving the diamond baguette face of its ceramic predecessor, this 2015 edition offers the choice of bedecking one’s wrist with deep black, purple, blue or green. 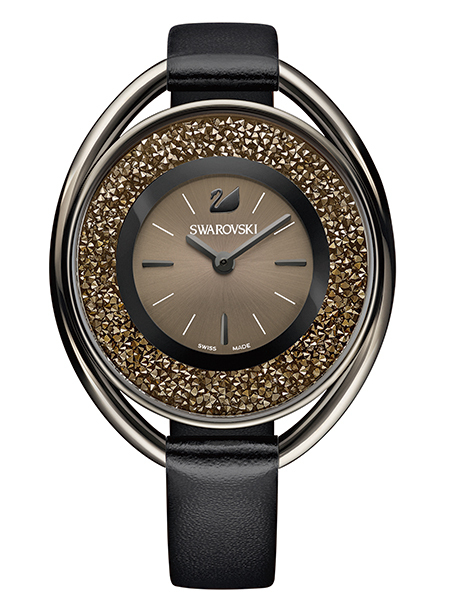 Striking in the classiest of ways, the Crystalline Oval Black Tone watch is a great example of understated glamour. The unique elliptical outer ring sits comfortably on the wrist, lending a sleek look, while the inner ring is packed with approximately 1,700 metallic light golden-tone crystals.